"Sea Bend- Beachfront Estate - the impressive architecture and condition of this turn of this century (over 11,000 sft) residence reflects the care and devotion of its proud owners who recently did an extensive multi-year preservation project to restore this superb landmark. No expense has been spared. With its gracious floor plan, high ceilings, well appointed large rooms with superbly crafted detail - grandeur and comfort coexist everywhere. The abundance of windows allows light to stream inside, and living here is enhanced by beautiful views of the ocean, spectacular sunsets and the Boston skyline. Its a joy to live here with its: "Smart Home systems, deluxe, fully equipped kitchen, luxurious master suite with dressing room & ultimate bathroom, elevator, 7 fireplaces, quarter sawn floors, wine cellar, 3 car garage, impressive landscaping/hardscape and much more! 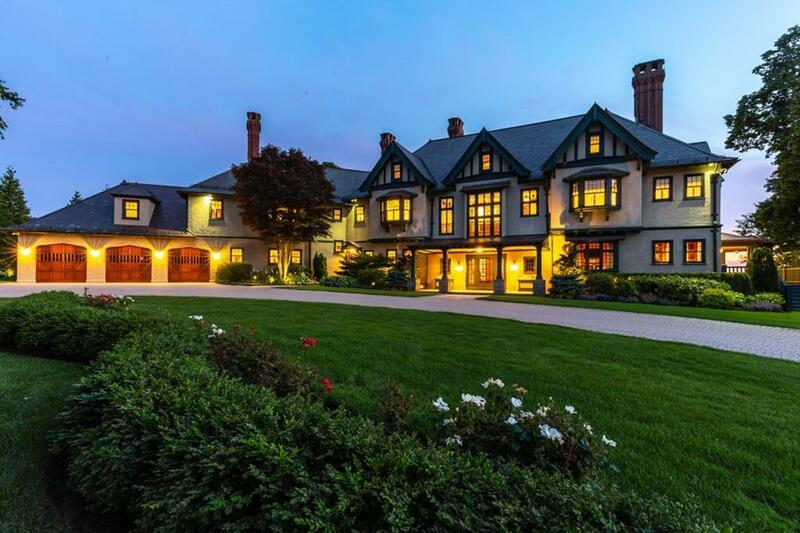 Discerning buyers will appreciate its impressive presence, privacy, lifestyle, proximity to Boston & Logan airport. sizes approximate - measured by Boston Rep..
Portions Copyright © 2019 Karen Ferro. Portions Copyright © 2001-2019 iMaxWebSolutions.com.